Do You Need Wedding Ideas? Congratulations on your engagement! Planning for your wedding day and researching wedding ideas can be fun and stressful at the same time. Don’t worry, we are here to help! Why should you trust us you ask? Well, we are wedding professionals with years of experience in helping couples prepare for their wedding. Our goal is to give you the ideas you need to make your big day special. On our site you will find ideas for themes, Centerpieces, cakes, flowers and more. In addition to ideas, Ask The Wedding Planner and get answers to your toughest wedding planning questions. Bottom line is, we are here to help! What Makes Wedding Ideas Guide Different? Using our experience in the wedding planning industry, we are able to give you honest, straight forward advice about your wedding. As you probably already know, there are many wedding vendors and websites out there. We can help you sort through all of the information by giving you our honest opinion while getting help from other brides and grooms. To get started with your wedding planning, use the navigation links on the left or the search box in the upper right hand corner to start your adventure! Would you like to share your knowledge about wedding ideas? Contribute to www.wedding-ideas-guide.com! Ask The Wedding Planner and get the answers that you need. Plan The Wedding Of Your Dreams! Wedding Ideas Blog brings you the latest articles and news about cakes, centerpieces, themes, flowers, favors, gifts, speeches and more to help you plan your wedding. Ask The Wedding Planner - Ask us a wedding planning question. Ask The Wedding Planner - Ask us a wedding planning question, or just say hi. Use our Wedding Vendor Directory to find the best wedding professionals in your area. Wedding Reception Idea - Unique Ideas For Your Wedding Reception. A Wedding Reception Idea To Make Your Wedding Memorable. A Wedding Cake Idea For Your Wedding, including cake toppers, cupcakes and grooms cakes. Wedding Centerpiece Idea - Tips for a fabulous wedding centerpiece. The Perfect Wedding Flower Idea For Any Season. Beach Wedding Ideas - Have the wedding of your dreams on the beach. Top Beach Wedding Ideas For the Perfect Wedding in the Sand. Tropical Wedding - Seven Steps For A Sun-Filled Wedding. Seven Steps For A successful Tropical Wedding. Wedding Favor Idea - Personalized, Inexpensive, Elegant Wedding Favor Ideas. Find a wedding favor idea to match the theme of your wedding. A Wedding Gift idea For the Bride and Groom, Groomsmen and Parents. Wedding Speech - Ideas and hints for the perfect wedding speech. Wedding Speech Guide - Ideas and hints for the perfect wedding speech. Best Man Wedding Speech - Tips For Giving A Great Wedding Speech. 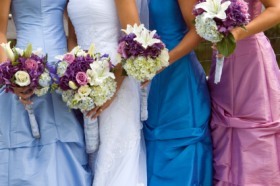 Maid of Honor Wedding Speech - Tips for giving a great wedding speech. Tips for giving a great maid of honor wedding speech. Would you like to share your knowledge about Wedding Ideas? Great, find out how you can submit your story or tip here.